The Star Trac E-TR Treadmill was inspired by Innovation, which has led Star Trac into entertaining territory and nowhere is it more evident than in their E Series treadmills. 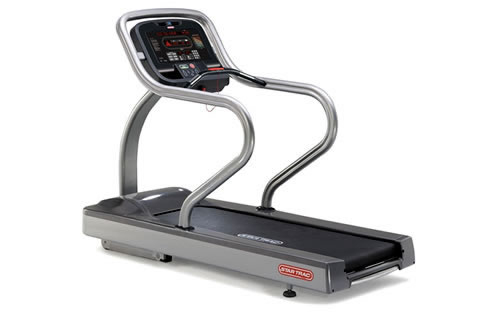 The Star Trac E-TR Treadmill was designed to entertain as much as it makes you sweat; the treadmill offers the most complete entertainment options on the market. What was no realized at the time was that Star Trac was at the forefront of what has now become an entirely new equipment category. The Star Trac E-TR boasts integrated iPod connectivity to a device-charging USB port, is wired for personal entertainment, which is fully-integrated with built-in fans, a heart rate monitor and the ability to pick, play and enjoy the entertainment solution of your choice. And with its sleek, silver design, it also looks as good as it entertains. Dimensions: 85" X 34" X 60"